Availability: ON ORDER ONLY. Please contact us for more details. Rig can be customized contact us today. Reeplex Free Standing Commercial 6 Station Rig. This rig has been designed to allow up to 6 barbells to be used at any time. 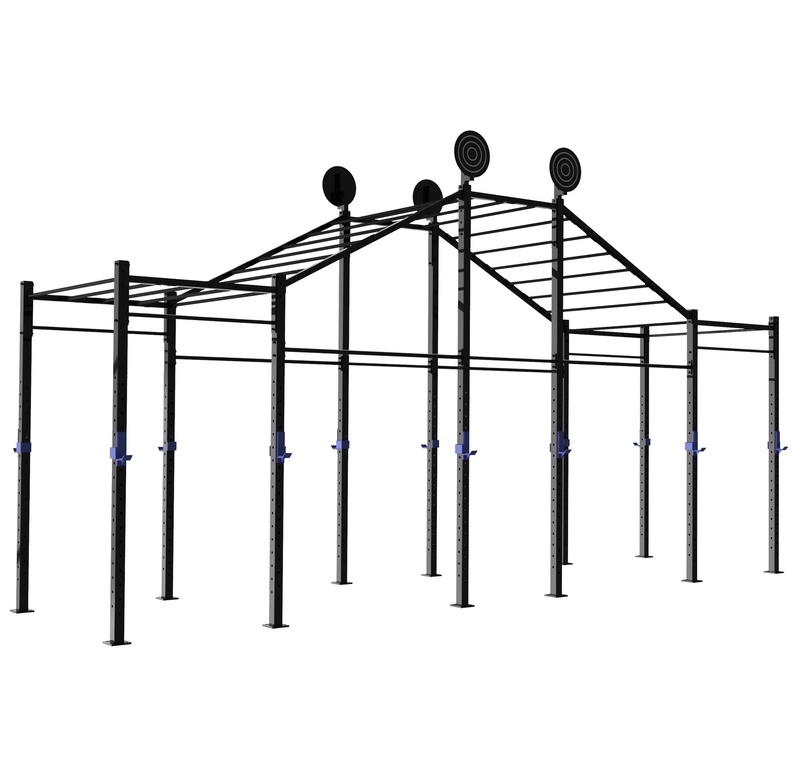 We have designed this rig to be functional with wall ball targets, monkey bars with incline decline positions and J-hooks with rubber to protect barbells when racking.